Pierre Koenig’s visionary Case Study Home No. 22, perched in the Hollywood Hills and floating high above Sunset Strip, has attracted everyone’s modernist lens — from legendary photographer Julius Schulman to Wilson-Phillips to “Nurse Betty,” among countless fashion shoots and TV commercials. Earlier this year, it captured mine. The home, commissioned by Carlotta and Buck Stahl, remains privately owned. The home was declared Historic-Cultural Monument No. 670 in 1999 by the City of L.A.
A visit to the home, either for an afternoon or evening viewing, will cost $30 or $40 respectively. Is it worth the cost? Definitely. Guests are free to take photographs (non-commercial use, of course) throughout the home and admire views of iconic LA — spanning Downtown L.A. to Century City to Catalina. 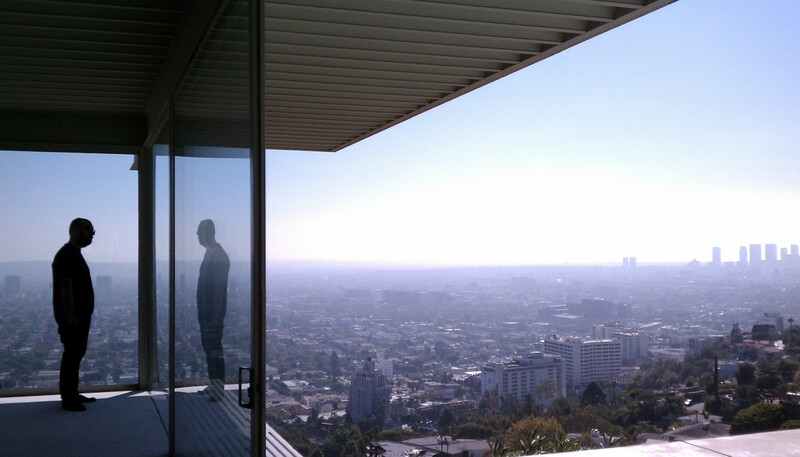 For more information, visit the Stahl House website.